During the Ottoman reign in Egypt (918-1222 A.H/1520-1807A.D), while the mint of Istanbul –the capital of the Ottoman Sultanate- was responsible for minting the multiples of the Para, Egypt refused to follow this coinage tradition, despite the fact that it was a state of the Ottoman Empire. This practice on behalf of Egypt reflects some important political events that may show the concealed reaction of refusal and opposition to the Ottoman reign in being against minting through the silver coins as a secondary coin, and not through the golden coins which were the essential ones. In addition, it reflects the power of the Emirs in Egypt during some periods of the Ottoman era. In fact, the only time Egyptian authority has departed this reaction of refusal, was during the reign of Sultan Mustafa the third when Ali Beik al-Kabir struck Para multiples holding his name, although the intention here was to make it as an act of confrontation to the Ottoman reign. Thus, this analytical study aims at introducing a new perspective of study by examining the coins in a method that reveals the political relations during that era, along with publishing some examples for the coins. - Al Jabarti, A. A. (2003). Ajae’b al-athaar fe al-tarajem wa al-akhbar. Edited by Abdel Reheem Abdel Rahman. Cairo: The General Egyptian Book Organization. - Al Sawy, A. A. (2001). The coins which were used in Ottoman Egypt. First edition, Cairo: Arab Civilization Center. - Amer, M. A. (1997). Coins, weights, and measures. Damascus: Ibn Khaldoun Publishing. 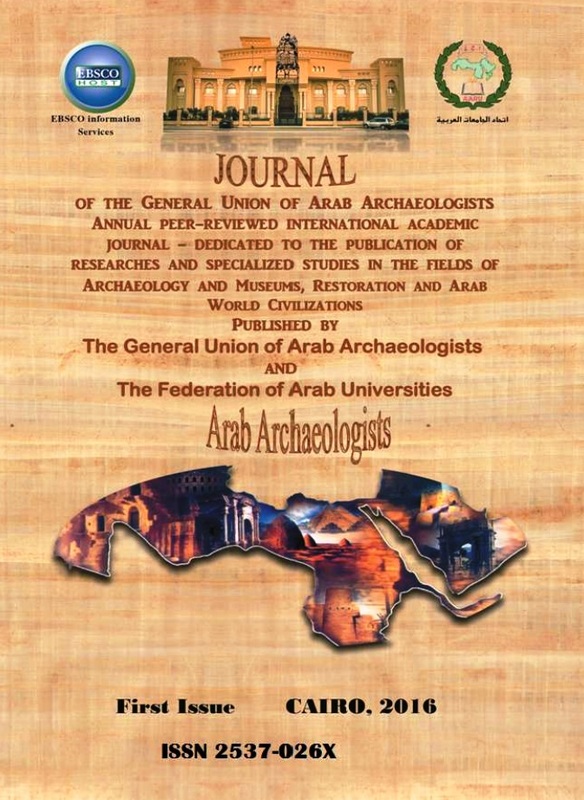 - Arafa, E. M. (2006). The Coins which were used in Egypt during the French Expedition. (M.A. Thesis). Cairo University: Faculty of Archeology, Egypt. - Bernard, S. (2002). Description of Egypt. Part 6. Translated by Zuheir al-Shayeb. Cairo: The General Egyptian Book Organization. - El Nabarawy, R. (2000). The Islamic coins from the beginning of the 6th century till the end of the 9th century A.H. First edition, Cairo: Zahraa al-Sharq Library. - Fahmy, A. (1976). The coins used during the time of Al-Jabarti. Cairo: The General Egyptian Book Organization. - Gibb, H. (1989). Islamic society and the West. Cairo. - Inalik, H. (1994). Money in the Ottoman Empire: an economic and social history of Ottoman Empire. Cambridge University Press. - Mahmoud, A. M. (2003). Ottoman coins: Their history and problems. Cairo: Faculty of Arts Library. - Mansour, A. R. (2008). The Islamic coins and their importance in studying history, archeology, and civilization. First edition, Cairo: Zahraa al-Sharq. - Mubarak, A .B. (1883). New plans for Egypt and its old and famous states. Part 20, Cairo: Beau Lac Printing House. - Oghlu, A. A. (1999). The Ottoman state, history, and civilization. Translated by Saleh Saadawy. Part 2. Istanbul: Islamic History, Arts, and Culture Center. - Pere, N. (1968). Osmanlianda medeni paralor: Coins of the Ottoman Empire, Istanbul. - Pipes, D. (1983). Mamluk survival in Ottoman Egypt. Journal of Turkish Studies. - Pitcher, D. E. (1972). A historical geography of the Ottoman Empire from earliest times to the end of the 16th century. Brill Archive. - Raymond, A. (1999). Artisans et commercants au Caire. Le Caire: Institut Francias d’Archeologie Orientale. - Shaw, S. J. (1962). The financial and administrative organization and development of Ottoman Egypt: 1517-1798. Princeton. - Suleiman, A. A. (1972). History of the Islamic countries and the lexicon of the ruling dynasties, part 2, Egypt: Dar al-Maaref. - Sultan, J. (n. d.). Coins of the Ottoman Empire and the Turkish Republic: A detailed catalog of the Jem Sultan collection, Vol. 1. U.S.A., California: B. & R. Publisher.